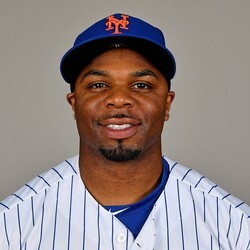 Rajai Davis has agreed to a minor league contract with an invite to Spring Training with the Mets. Davis, now 38 years old, batted just .224 last season, and his days as anything close to a regular player are over. But he should provide real-life value to the Mets as outfield depth and a pinch-runner, assuming he makes the team. He's a source of steals in NL-only leagues but that's about all.